For many companies, it’s not enough anymore to delegate marketing tactics to a specific person or team. In today’s highly connected world, it’s not wise for one team to handle something as big as marketing without other teams knowing or understanding what they’re doing. Since marketing influences or is influenced by pretty much every aspect of a company, it’s a good idea for many employees to have a general idea of what it is. Here are some of the best ways to boost your marketing knowledge. Try a few, and you’ll surely impress everyone at the next big meeting. Podcasts are a great way to entertain yourself and learn new skills at the same time. They typically last anywhere from fifteen minutes to and hour and cover a wide array of topics—from old murder cases to cooking tips to marketing. You can listen to them on your commute to work, while you’re exercising, on your lunch break or even just sitting around the house. We made a list of some of the best marketing podcasts to help you stay on top of your game. Of course, a classic way to learn a new skill is to read a book about it. There are thousands of books on marketing covering topics like social media and digital, email marketing, inbound, B2B and B2C, data, and creative thinking in marketing. Whether you’re a total beginner or just looking for the basics or a seasoned pro wanting to brush up on new skills, there is a book out there for you. 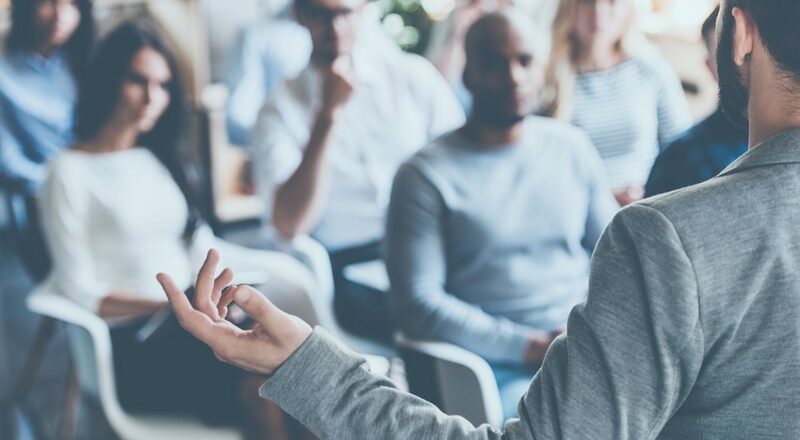 It may not be the most exciting way to spend your time if you’re not a marketer, but attending a seminar and learning from real marketing professionals can help you increase your knowledge in real, tangible ways. Plus, having other people there who can answer questions is a huge bonus. Find out if your city has any seminars hosted through universities or a local marketing organization. The American Marketing Association has chapters all over the country, and many of them host regular lunches and events. There are a number of totally free certificates you can get online that will boost your marketing knowledge. Hubspot Academy has a couple of courses that cover content and inbound marketing. They only take a few hours, so you could knock one out in a day. They’ll cover the marketing process, knowing your audience, creating good content and how to optimize it. The Google Analytics IQ certificate helps you understand search engine optimization (SEO) from the search engine side. If you really want to get to the next level in marketing, you could consider taking a class. Many colleges and universities allow non-degree seeking students to take classes at either an undergraduate or graduate level. Since so many professionals are going back to school or getting advanced degrees, there are plenty of evening classes and online options. If you don’t care about having the class or grade on a transcript, you could consider taking a class through Coursera. They offer classes from some of the world’s best universities for free.